Julio Cortázar (1914-1984), the great Argentine novelist whose highly innovative and experimental fictions have had a lasting and influential impact on literature world-wide, was also an excellent and innovative poet, and his work in that genre deserves to be better known. 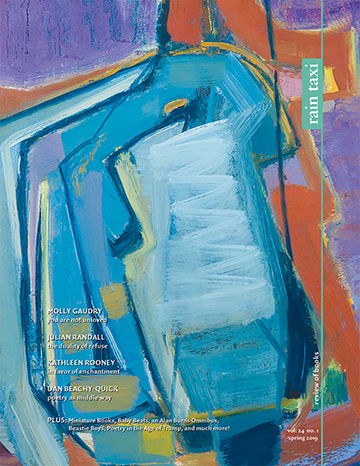 Fortunately, the author of Rayuela (Hopscotch) is well represented as a poet in a new and greatly expanded edition of Save Twilight, Number 53 in City Lights' Pocket Poets series. Originally published in 1997, this new, plump little volume (which would only fit in the largest pocket of your cargo pants) is an excellent introduction to the author's poetry, which is as fascinating and compelling as anything he wrote. Cortázar's poetry varies in style and tone. His most frequent voice is a personal one in which he is not writing “poetry” but rather talking to himself or to a listener. This is a style found also in some of Roberto Bolaño's poetry; Bolaño was from a younger generation, but both writers are best known as novelists, and both professed poetry as their first love. What is striking about both poets' language is the emotional intensity they achieve while using an extremely conversational diction. This is a very difficult effect to create, and can only be done when the poet is speaking of things he or she feels very strongly and immediately. Some of the poems are set up as “prose,” and use the same sort of diction. your hand stroking my hair. la destrucción de los cisnes. by the destruction of the swans. I have already mentioned Roberto Bolaño, but it might be useful to compare Cortázar's poetry to that of other major Latin American poets. The Chilean Nicanor Parra, Cortázar's contemporary and the creator of “Anti-poetry,” brings up the question of how much the Argentine can be considered an anti-poet. In the sense that his poetry takes several steps beyond the poetics of Modernismo, he can be called that. The same would hold true for Pablo Neruda, and for the at times desperate and expressionistic surrealism of Vicente Huidobro, who preceded Cortázar by a generation. Or Huidobro's contemporary, César Vallejo, whose early poems contain traces of Modernismo which evolved into some of the most intense Futuristic poetry ever written, much of it constructed on a base of conversational language. The Nobel-winner Octavio Paz's highly literary and elegant poetry is quite different from Cortázar's but also has its roots in that early twentieth-century revolution in poetry. All of these poets reacted against Modernismo in unique ways, and each subsumed Modernismo in their work; it is the matrix from which they grew. 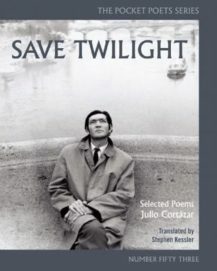 Stephen Kessler's expanded edition of Save Twilight is a real gift; his translations are eminently readable and repay repeated readings: the poems will seem different each time. Cortázar is a poet of many styles and voices, and this selection has spurred me to revisit his poetry, and re-read some of his great novels, an experience that is greatly enriching. What more could one ask of poetry, pocket or otherwise? This entry was posted in Uncategorized and tagged Spring 2017 on April 25, 2017 by Kelly.